It seems everyone is a skincare expert these days, so it's hard to know who to trust. That's why recommendations are important considerations to those looking to try new products. The word of mouth buzz surrounding Ixora Botanical Beauty has grown so furious, it's nearly impossible to ignore. We caught up with the Ixora's founder, Mercedes, to discuss her products and the business of beauty. TC: Why did you decide to start IBB? M: I was having a conversation with a friend back in April 2011 about when I was in college and what I wanted to do after I graduated. I wanted to work in the skincare department of Johnson & Johnson but getting into that company was extremely hard.The conversation turned into us talking about our skin and what she used on hers and in that moment the idea came. That's when I finally realized what I wanted to do with my life and from there on out, the research for Ixora began! TC: How did you first spread the word about Ixora? M: Well during the time that I spent researching, I started to talk about it on my TL. I debuted my logo when it was finished and used that opportunity to talk about some more. When I started to work on my site, I had my followers vote on the best background color. By the time December came, I had made a twitter page for my biz and some of my friends started to help me announce when I was launching. I had everybody excited and waiting on the launch. I also picked a set of friends and bloggers who were the first to try my products to help spread the word. TC: Who were your first customers? M: Aww man, this just made me super emotional. I just checked my invoice for January 2012 at my very first customers and I'm pleased to say that they are ALL still customers. Some of them I know by their twitter names like @AndreaDMorgan, @SlimBellyBella, @Cajun_Peach, @mminthecity, @Orig_Glamazon, @PrettyWikked, @ncrediful, @ThatSoCalChick, @NaijaRoyale, @Lifeofaladybug and some others whose twitter handles I don't know. TC: Where did you learn how to make beauty products? M: Well, I am no stranger to the lab. I have a B.S. in Chemical Engineering and my love has always been making things. I basically fine tuned that love into butters and oils and researched how to achieve the textures and results that I want. So what I didn't already know, I practiced and experimented until it became second nature to me. TC: What makes you a successful entrepreneur? M: I think my success has come from a number of things. I have a really great connection with my customers and I incorporate their opinions and wants when I do make new products. I feel like there is no me without them, so they should have some insight on what I make and they LOVE that. I also treat all my customers the same. You never know who will order from you, so if you are universal with your customer service then people will always feel secure when purchasing from you. TC: What makes your products different? M: One thing that separates my butters from other brands is the fact that I don't use the regular Shea butter. 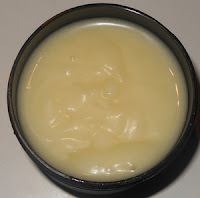 I use the Nilotica Shea Butter from Uganda. It is softer, lighter in color and richer than the regular Shea Butter. 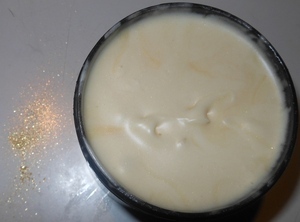 It gives all my products a completely different texture than any other product as it is also more moisturizing. TC: What are your favorite Ixora products? M: lol this changes from time to time, BUT, my current faves are my Whip It Up Shimmering Shea Butter, Jumbo Combo Butter, Luxury Lips Lip Balm and the Macani Miracle Butter. TC: What is your most popular product? 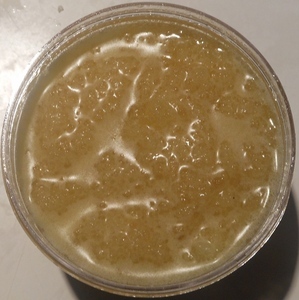 M: My most popular products would be the Jumbo Combo Butter and the Kissed By The Sun Moisturizing Sugar Scrub. TC: What's the biggest lesson owning your own business has taught you? M: RESEARCH. You have to do your research. I researched for 8 months before I started Ixora, and I STILL do more research. Research on marketing, customer service, branding, techniques, etc. You can never have enough information when it comes to your business. Also, network your life away. There is always an opportunity to get your brand out there to further your reach. TC: What advice would you give to aspiring entrepreneurs? M: If this is what you truly want to do, take the leap. There is no better feeling in the world than owning your own business. Do your research, and network. People need to feel your passion, even through the computer screen. You have to make people love your brand just as much as you do. Don't miss out on Ixora Botanical Beauty products.